Curtis Miller’s World Trade Diamonds specializes in engagement rings and much more. We pride ourselves on giving the best customer service possible. With two very well trusted jewelers, we can provide you with what you’re looking for. Curtis and Mary will give you many options to work with. We take the time to sit down with you and figure out what it is you really want. You can feel comfortable coming into Curtis Miller’s World Trade Diamonds. 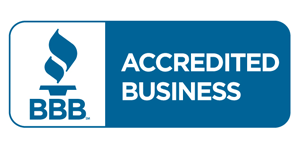 We are highly rated BBB members for over 15 years and Life Member of Polygon Jewelers Network since 1996. To learn more about us, give us a call today at (214) 741-3333. Your source for gems, watches, and fine custom jewelry in Dallas, TX. It’s no mistake that people throughout the Dallas/Ft. Worth area and beyond place their trust in our professional and knowledgeable fine jewelry team. We have been valued and trusted fine jewelers serving the Dallas area for generations. Our owner and founder is Curtis W. Miller. He works with his wife, Mary Margaret Myer. They have been working in the jewelry industry since 1979, and Curtis possesses a GIA professional certification. He has also trained in Firestorm CAD. Curtis is a proud third generation Texan, born in Dallas. He grew up in North Dallas and was a member of the first graduating class from W.T. White High School. Then he moved onto the University of Texas – Austin, where he earned a BA. Until the late 1970s, when he became interested in the jewelry industry, he worked in his family’s wholesale petroleum distribution business. Curtis began his work in the fine jewelry business as General Manager of Mart Wholesale Jewelers for 5 years; then he began his own business. He has been in continuous operation since, and he has spent his entire fine jewelry career working in the World Trade Center of the Dallas Market Center District. Mary Margaret Myer has been married to Curtis W. Miller for the past twenty years, and she has spent the past sixteen years developing her own jewelry line, Mary M Custom Designs. She started working part-time with Curtis when they were first married, and today they’re a full-time team. Like her husband, Mary Margaret is a longtime Dallas resident. She graduated from Highland Park High School in Dallas and attended the University of Houston, majoring in Fine Arts. She didn’t get into jewelry design right away, instead choosing to make her mark in interior design. For the past 25 years, she has run MBM Designs, helping clients with their kitchen and bathroom remodels. Whether she’s working on a bath or a bracelet, Mary Margaret has a great love for good design. Her jewelry is known all over the Dallas area for its luxury and class. Her favorite thing is to work with her clients’ jewels, creating something beautiful that they will love to wear for a long time. 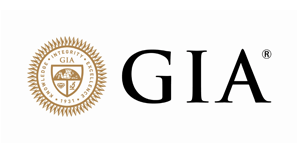 We are GIA gemological certified and trained. This organization helps protect both buyers and sellers by establishing and maintaining the standards of evaluating gemstones and their quality. We follow these standards when creating your custom-designed jewelry. Jewelry is a big investment and when you are ready to make your purchase you want to work with a trustworthy person and business. We promise to always be up front and honest with you. We also vow to deliver you an enjoyable experience when you come shop with us in Dallas, TX. Curtis personally selects all our diamonds and gemstones. Alongside his wife, noted jewelry designer Mary Margaret, they deliver nothing short of excellence to all of our clients in Dallas. Whether you are looking to celebrate an accomplishment, display a symbol of your love or demonstrate appreciation, you can trust in us to help you create or find the perfect piece. Come meet us today for the best jewelry store experience possible. Call to schedule a consultation at (214) 741-3333 .